I highly recommend that you review The Fab Four Beatles tribute band. They are outstanding! They have a show scheduled in Jim Thorpe, PA on June 5th. 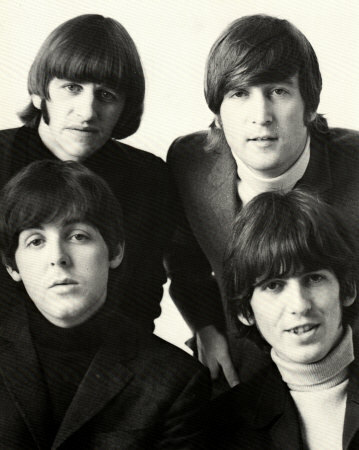 Here’s a link to their website: http://thefabfour.com/. Thank you, Jeanne! That’s a bit far for me to travel, but hopefully I’ll catch them some day. I think they’ve come to Sellersville Theater before, if my memory serves me correctly. Sign up for the theater’s emails. They send out new releases every Tuesday. Not sure how far away you live, but I can tell you The Fab Four are worth the trip! I usually travel over 200 miles to see them, and it’s worth every mile! The reason I suggested the review — aside from the fact that The Fab Four are an incredible Beatles tribute band — is because I noticed that Jim Thorpe is only 50 miles from Sellersville. Figured that might make it doable for you. But, of course, not knowing where you’d be traveling from, I realize you could be farther away than it seems. If you aren’t able to make it this time, I sure hope you’ll be able to catch their show soon. I have a very strong feeling that when you finally do see them, you’ll wish you’d discovered them much, much sooner! They are one of the top Beatles tribute bands in the world! Anytime! Hope you’re able to make it! Sellersville Theater shows never disappoint! My favorite tribute band to see there is Almost Queen!